Web hosting is of different types with each of them having its own pros and cons. Let us compare these web hosting types so that you can get an idea of which web hosting solution is best for your website. Dedicated hosting is where you have special dedicated servers where you can store and host your websites. Dedicated Hosting allows you to customize the software and hardware you want to use for your websites without the need to worry about the maintenance and repairs as compared to having physical servers. Dedicated hosting is however quite costly and is mainly used by large websites who need large bandwidths and space and at the same time do not want to compromise their data. Shared Hosting is the hosting method which is exhaustively used at the present. In this type of web hosting, your website is provided a space partition in the main server which will be shared with other websites depending upon the plan which you are using. You however have no right to customize the server and also the bandwidth to your website may be irregular unlike the dedicated hosting. It is the cheapest of all the web hosting methods and is greatly advised for small websites and blogs. Virtual Private Server or VPS hosting is a cross between Dedicated Hosting and Shared Hosting. It provides you the option to choose your own software and other aspects of the server the same way you can customize a dedicated hosting but you will have only a partition space of the dedicated server and not the whole. It can provide your site with good control and bandwidth and cost less as compared to a dedicated server. Cloud hosting is the latest in web hosting and provides whole new options such as scalability and reliable hosting. Cloud hosting can balance a higher load, can be easily upgraded and downgraded as per the requirement and is charged depending on the use rather than the flat payment method used in other types of hosting. The cloud based hosting however is more stable as there will not be any effect on performance when a part of the component goes down as cloud based hosting is de-centralized. However the same can be a problem as it will give less control over the data and can create serious privacy issues. Divya is in a content development field with an seo company. They offers various backlink building services and website development services including web hosting and blogging. This entry was posted on Tuesday, March 20th, 2012 at 10:45 am and modified by WebMaster View on Friday, March 21st, 2014 at 8:32 pm. You can follow any responses to this entry through the RSS 2.0 feed. Responses are currently closed, but you can trackback from your own site. I think shared hosting is a better option for small blogs, websites and newbies. Shared hosting is low cost and there are many good shared hosting companies which provides great hosting services. With the time when your site grow then you can switch to VPS. Btw, great work Divya. Beginners can easily find out which type of hosting they should choose. Thanks for the info! 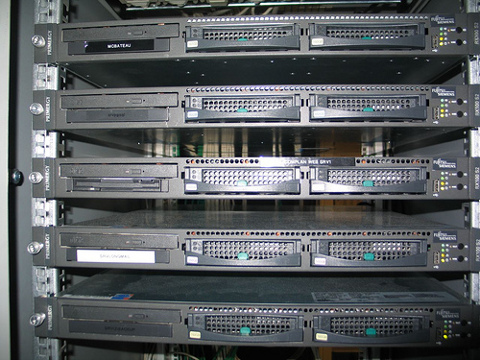 This is probably the most comprehensive article about different types of hosting. Great! Thanks for the writing. I think, newbie can understand easily the difference various kinds of hosting after reading the tutorial.